Dave only goes to see nice plays with nice stories. So he’s taken it upon himself to write one. Strange Matters. A riveting tale of love, death, betrayal and birds. But how will Dave’s evening of “tolerable, top-notch, moderately significant drama with a nice story” fare when Frank, the lead actor, fails to turn up? As Dave’s House Theatre Company’s original script threatens to morph into something terrifyingly more original than intended, someone other than a bewildered audience is watching. That person is the technician, Dermot. He presses the buttons. And whilst the performers battle through fear, anger and confusion, he starts to think even he could do a better job. Strange Matters… marks the company’s first original script, written by Michael Jones & George Bradley. After a small but well received tour of Cornwall in 2010, Strange Matters... has now been re-imagined for the brave new world of Devon in 2015. 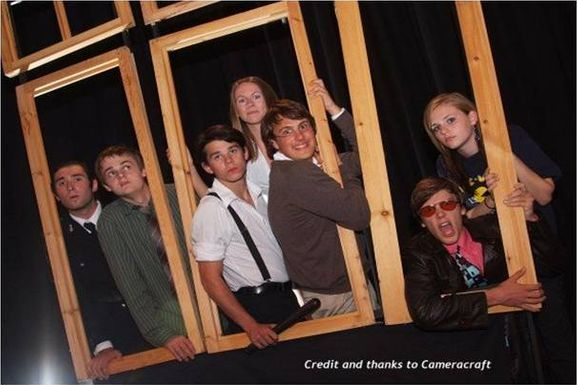 "Dave's House Theatre Company are innovative, clever and extremely funny." 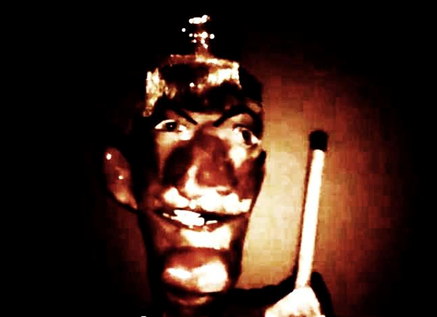 "Strange Matters... is laugh out loud funny and I look forward to future productions." Shelia Vanloo - Radio St.Austell Bay. occasional spatterings of vaudevillian humour. The story expands on the world of the original narrative; and the friendly, yet haunted former stage-door man, Albert, tells a grisly tale of the further misdeeds of Mr Hyde and his 'acquaintance' - the tormented genius Dr Jekyll. story-telling experience: ghostly figures are glimpsed briefly before vanishing, people appear out of nowhere, and what you can't quite see becomes a lot more disconcerting than what you can…A close-knit ensemble of four actors work seamlessly together to light the action and portray a series of colourful yet sympathetic characters. Set in a long-abandoned theatre in Victorian London, the show has a theme of vaudeville running through it resulting in darkly comic song, dance, puppetry and even ventriloquism, which interweave with the story all in under an hour. in special collaboration with cube that Dave's House Theatre Company has been given permission to re-imagine the script. The show also features original music composed by a working professional. 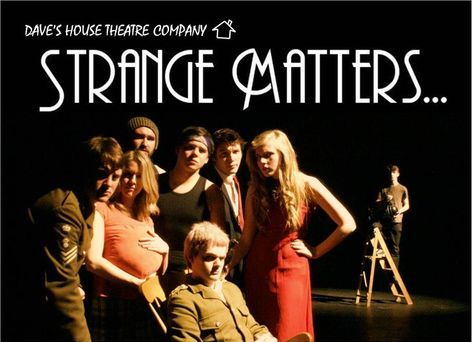 STRANGE MATTERS... is an original comedy created by Dave's House Theatre Company itself. 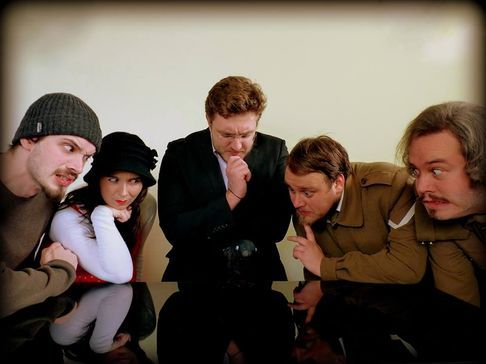 The show first toured in its original form around a handful of venues in 2010 where it produced much hilarity with its self-aware, surreal humour, innovation and sheer unpredictability. On its surface Strange Matters… is a play within a play - a murder mystery which goes horrifically wrong when the lead actor fails to turn up. However, things take a turn for the unexpected when the technician (motives: unclear at best) hijacks the show and holds the actors to ‘artistic ransom’. At its heart Strange Matters… is about the difficulties of self-expression, fighting against the face of adversity and messing around with the conventions of performance. The sheer unpredictability of the piece questions what people expect out of theatre itself and subverts audience expectations. It’s a clever (although sometimes outright silly), thought provoking comedy which is constantly entertaining and probably not quite like anything you’ve seen on stage before.